In 2001, court records show that Tierne got a PFA (Protection from Abuse) order which restricted Kevin from having any contact with Tierne. He violated it at least twice, and 2 criminal cases were filed against him that year, as a result of which he spent at least 7 months in jail. On Tuesday, August 30, Kevin cut off the monitoring bracelet installed on his ankle by the court, took one of his guns from his mother’s house, and kidnapped Tierne at gunpoint, taking her to a nearby barn where he apparently held her for several hours. As the police were closing in, he shot her in the head and then shot himself. Since the Las Vegas mass shooting on October 1, 2017, there has been a great deal of discussion about gun violence in the U.S. and how to avoid it, or at least some of it. 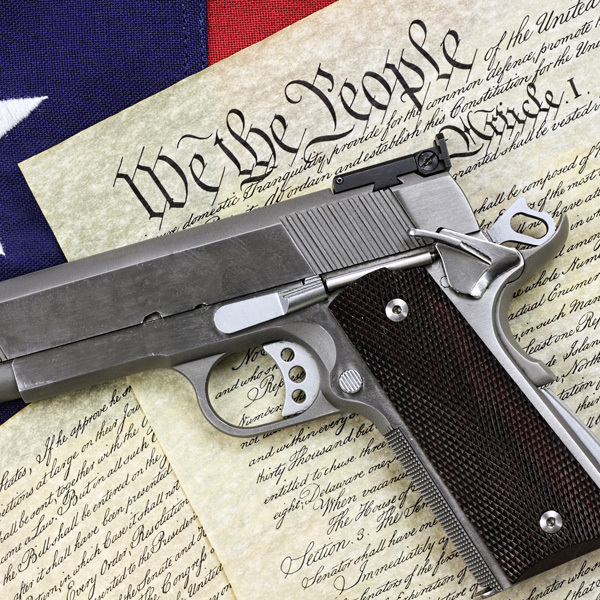 The nub of the problem extends to the courts’ interpretation of the Second Amendment to the U. S. Constitution, which says, in whole, “A well regulated Militia, being necessary to the security of a free State, the right of the people to keep and bear Arms, shall not be infringed.” That’s the whole Second Amendment. Does it mean that everyone has the right to have as many guns of any and all types as he or she wants? Does it mean that the State (or Federal or local government) cannot impose any regulation or law restricting the purchase or possession of guns or gun accessories by any American? Clearly the answer to the second question is no, but the forces supporting a broad interpretation of the Second Amendment push back when any curtailment of “gun rights” is being proposed or attempted to be enacted into law. The answer to the first question is …well, maybe. So, let’s talk about the impact of these issues on society, but more specifically the lives and homes of Americans. Some sample statistics: According to the Violence Policy Center, more than 5 times as many women were murdered by an intimate acquaintance than by a stranger in the year 2000. Additionally, while firearm homicides involving male victims were mostly committed by male perpetrators, 95% of female firearm homicide victims were murdered by a male. Congress, recognizing the unique and deadly role firearms play in domestic violence passed the Protective Order Gun Ban in 1994. The law prohibits gun possession by a person against whom there is a restraining or protective order for domestic violence. In 1996, Congress passed the Domestic Violence Misdemeanor Gun Ban, which prohibits anyone convicted of a misdemeanor crime of domestic violence from purchasing or possessing a gun. Sounds like problems solved, right? Well, not so fast…. In an article in October 2015 by Christina Cauterucci, “How Domestic Abusers get to keep their guns, Cauterucci points out that the 1996 law, spurred by the staggering statistics such as those mentioned above, left two gaping loopholes. First, even though the victims of intimate-partner homicide are usually dating their partners, not married to them, the federal definition of domestic abuse required that the couple be married, cohabitating, or the parents of shared children. This is called the “boyfriend loophole.” The other loophole in the federal gun ban for domestic abusers also leaves the perpetrators’ existing gun collection untouched, which renders it ineffective against abusers who already owned firearms. On March 17, 2013, Michael Luo wrote in an article in the New York Times, “in Some States Gun Rights Trump Orders of Protection,” that in statehouses across the country, the NRA and other gun-rights groups have beaten back legislation mandating the surrender of firearms in domestic violence situations. They argue that gun ownership, as a fundamental constitutional right, should not be stripped away for anything less serious than a felony conviction and certainly not, as an NRA lobbyist in Washington State stated to legislators, “for the mere issuance of court orders.” Luo notes that the 1994 Protection Order Gun Ban is rarely enforced; during 2012, prosecutors nationwide filed fewer than 50 such cases, and as a result, the law has largely fallen to a state-by-state patchwork of laws to regulate this issue. Or not. A 2013 a federal law named Zero Tolerance for Domestic Abusers Act was introduced to close the “boyfriend loophole” and extend the law to convicted stalkers and abusers of any former intimate partner, but it failed to pass. History will judge whether the Moms Demand Action for Gun Sense in America, a group which formed after the Newtown, CN, massacre of grade school children and teachers, can change the minds and hearts of Americans, or, more importantly, their legislators, and begin the serious consideration of common-sense methods for avoiding further gun violence in America.